Attorney-General and Minister Responsible for Climate Change, Aiyaz Sayed-Khaiyum, has stressed the importance of forests in our climate change battle. Forests, he told COP23 delegates in Bonn, would help us lower global warming to 1.5 degrees Celsius. He was speaking on Forest Day: Rising to the Challenge: Collaborative Action in Forests to Address Climate Change and Promote Sustainable Development. He said Fiji stood with the AOSIS (Alliance of Small Island States) and all vulnerable nations in firmly focusing on the target of limiting global warming to within 1.5 degrees Celsius above that of the pre-industrial age, as the world agreed in Paris two years ago. 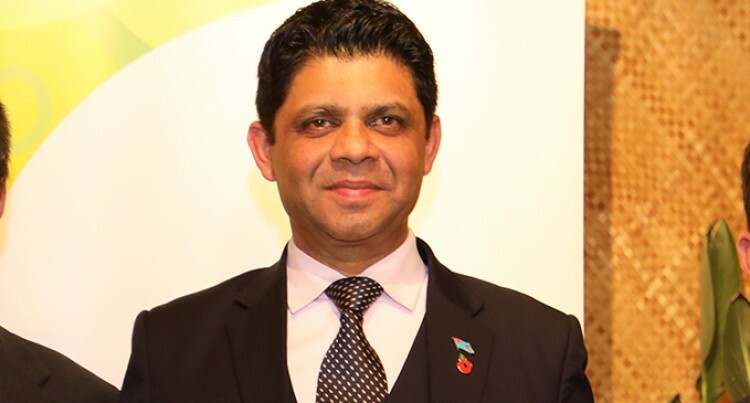 He said: “Fiji fully recognises that to achieve this, the world must reach net-zero emissions in the next few of decades and not wait for the latter half of the century. For small island states like ours, and for all vulnerable nations, this is an imperative as this is a matter of survival. without promoting healthy forests, we also know that our nations won’t be resilient to the impacts of the extreme weather events without these natural buffers and barriers that protect us and that contribute to healthy sustainable livelihoods. “As I remarked earlier critical to these efforts is the need for innovative finance mechanisms to protect all kinds of forests- again including land based forests, mangroves and seagrasses. “While negotiations on forests have been among the most constructive strands of negotiations over the last 10 years producing a detailed rulebook on REDD+, the fact remains that the rules provide no actual formal mechanism within REDD+ for financing forests. “To be blunt REDD+ has struggled because the lack of a carbon market has left it dependent on voluntary action and without the certainty needed to attract private funding and the mechanisms being pursued by Norway and the World Bank’s Forest Carbon Partnership Facility (FCPF) are still being developed to a point where finance will flow into actual forests. “While many governments have implemented measures to protect forests through establishing protected areas, this is not sufficient to avoid their destruction. “Furthermore, despite the natural value of forests, they do not offer a financial return on investing in their conservation, protection and management that can compete with the more destructive uses. There are no well established markets for forest carbon or the broader benefits they provide, despite being critical to our very survival. Forests have therefore been unable to attract private sector finance at any scale. “The hard cold reality is that protecting forests at any scale requires capital and significant expenditure – like any green infrastructure project. “Between 2006 and 2014, a total of US$9.8 billion was invested into forests, almost 90 per cent of which came from the public sector. However, it is estimated that somewhere between US$17-33 billion is required per year to halve deforestation by 2030. Given the limits on public climate finance substantial financial support must come from vastly larger pools of capital available only from the private sector.